Ageing Skin - Prevent & Protect - Aspire & Co Ltd. It happens to everyone and although at different stages and in different ways, ageing is still an inevitable fact of life. For the skincare industry, utilising premature ageing concerns has been very profitable. The cosmetic industry has managed to grow the anti-ageing industry to be worth over $10 billion dollars (psmag.com 2017) with over one third of women over 60 saying they’ve used anti-ageing products in the last three months. Rather than a concern to worry about, pHformula sees ageing differently. Ageing doesn’t have to mean the end of fun, or the end of feeling and looking brilliant. Products that make you feel the best version of you, enjoying your age and looks, is the ethos we go for. Some signs of ageing skin are more obvious than others. There are the obvious signs of fine lines around the eyes and mouth, and less visible signs such as the feeling of lack of skin elasticity and tightness in the face. Sun damage and pigment changes are also signs of loss of density to the skin, meaning it is becoming more fragile and less radiant in appearance. These signs are all normal and start to gradually effect both men and women from ages as young as 25. Although the process of ageing skin is inevitable, there are both preventative and protective measures that can be taken to help aid the natural process of ageing in the most delicate and gentle way. There are lifestyle influences that can promote signs of premature ageing. Smoking is a large contributor, containing carbon monoxide which is the same pollutant found in car engines. A chief ingredient of tobacco, it can hinder blood flow and stimuli to the skin, hindering skin circulation and radiance. Cigarette smoke also contains a number of compounds that are emitted as oxidants, depleting the ability of vitamins and nutrients and the effects of anti-oxidants. Other pollutants that are less avoidable such as car exhausts can also contribute towards premature ageing. This can be less avoidable, but balanced with a healthy lifestyle can hinder the effects of the problem. A healthy diet with lots of fruits and vegetables, sleep and water are also hugely important to contribute towards a youthful body, mind and skin. There’s only so much you can to to prevent ageing. A healthy lifestyle although helping slow down the process, and negate it’s visible effects, won’t completely stop the inevitable ageing process. However a good, complete skincare routine can make the world of difference, whether you’ve started ageing or not. This combined with healthy lifestyle choices can protect the skin from visible premature ageing symptoms. There are many products out on the market for ageing skin, but the problem they all face is their lack of versatility. They are all grouped together aiming to the same thing for your skin. pHformula’s approach means that anti-ageing solutions are matched and varied to each patient, their skin type and concerns. The Age treatments are applied in a layering / leave-on technique which determines the depth of penetration. This approach is possible due to the fact that most of pHformula’s skin resurfacing actives are self-neutralising. By applying multiple layers, the penetration of the actives is increased in a controlled manner – making it safe and truly effective. The treatment also focuses on correcting the typical signs of ageing already present – photo-ageing, pigment changes, a dull or sallow appearance, and superficial or medium-level lines. Alongside treatments, adopting an effective skin routine can help regularly ensure a healthy appearance and healthy skin condition. Peptides are becoming a popular choice for many. Peptides are amino acids combined in formations. When peptides are formed in a certain way, they make specific proteins, which is why they are so great for the skin. Without peptides, skin doesn’t remain intact and the results is loss of firmness, appearance of wrinkles, texture changes, and skin that doesn’t bounce back as it once did. 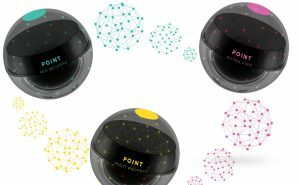 pHformula’s range of POINT peptides are ideal for ageing skin, with the extra firm peptide ideal for firming the skin and forming a smooth a firmer appearance, and the age reverse peptide promoting skin elasticity and youthfulness. Other important daily products may take shape in the form of serums and oils, which can provide an advanced form of hydration, penetrating the skin to nourish thoroughly and bring about a radiant and healthy look. For any skin ageing concerns, speak to your local pHformula specialist, who will be happy to assess your skin condition and needs and match you to the ideal products for you.